Poole Company offers recycled fibers such as EcoSure Wellstrand heavy denier, that are manufactured with 100% PET fiber. 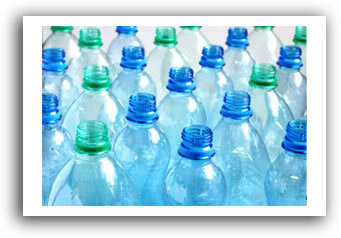 Poole Company sources EcoSure staple products that are produced from 3rd party certified 100% post-consumer PET bottles. Poole Company cares about the environment, not because it is more profitable or is an easier process -- both statements are false -- or because it is trendy. We care about the environment and uphold to the highest standards because it is the right, responsible thing to do. We are committed to doing our part. Download the Napcor Guidance Document on Post Consumer Content for more information about what is claimed as recycled PET content. 1.781 billion pounds of post-consumer bottles were collected for recycling and sold in the U.S. These are just a few examples of how PET bottles, that would traditionally clog landfills for centuries, are being turned into quality products. 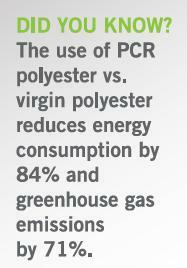 Download our PET PCR Polymer and Environmental Facts Sheet and contact us today to learn more about the Poole Company's EcoSure recycled fibers.